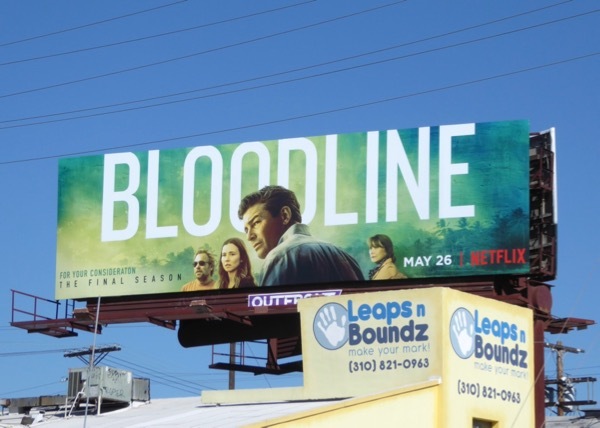 With so many great series to binge watch at the moment we're lucky that it's a long holiday weekend to catch up on our favorite shows, like the third and final season of Netflix's Floridian family drama Bloodline. 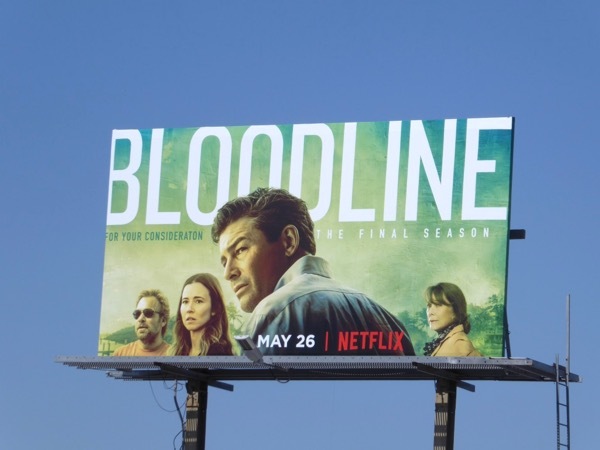 After another thrilling cliffhanger last season Norbert Leo Butz, Linda Cardellini, Kyle Chandler and Sissy Spacek reprise their roles as siblings and mother, but will all the murders, dark secrets and personal demons catch up with the 'Rayburn' family in the Florida Keys in these final ten episodes. 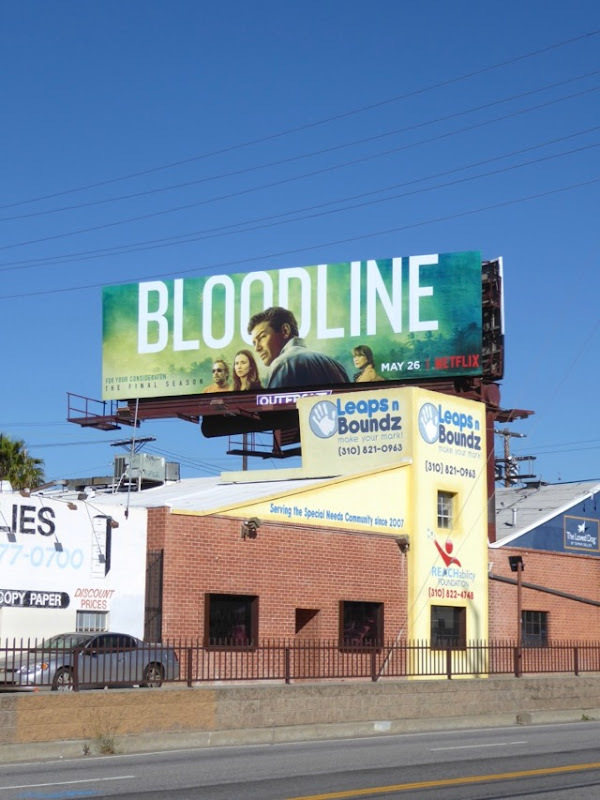 This season three billboard was spied along Sepulveda Boulevard on May 20, 2017, and fans of the show can also enjoy these season one and two billboards for Bloodline. 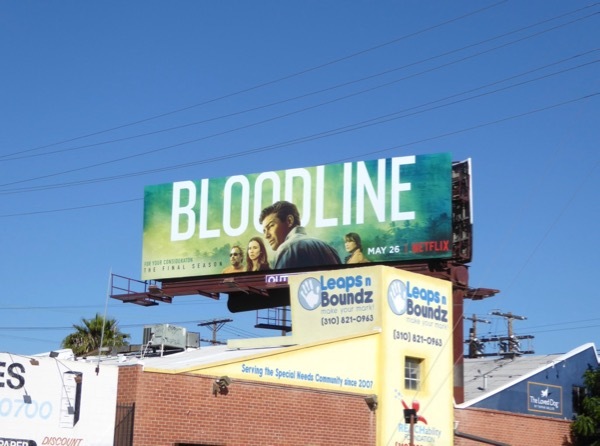 Daily Billboard likes how the series has retained this greenish tint to its season promo key art over the years. 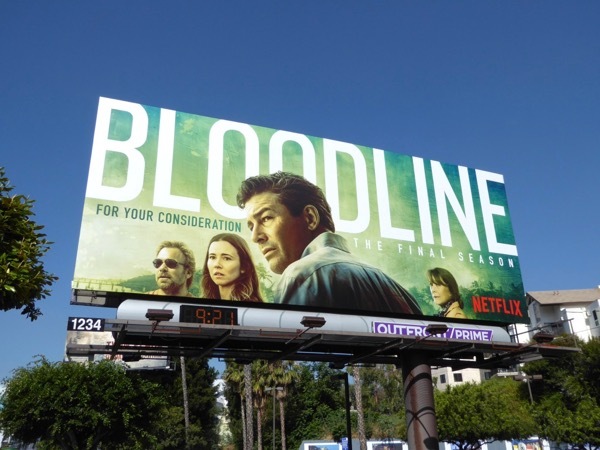 Let's hope this family Bloodline ends in a satisfying way that answers all our burning questions. 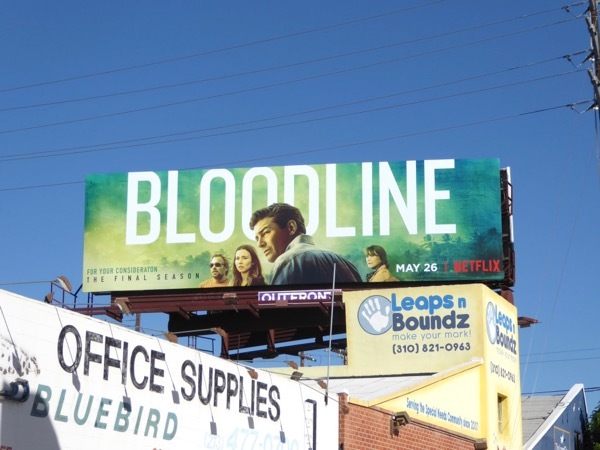 UPDATED: Here's also a smaller version of this final season ad spied standing out along Melrose Avenue on May 28, 2017. 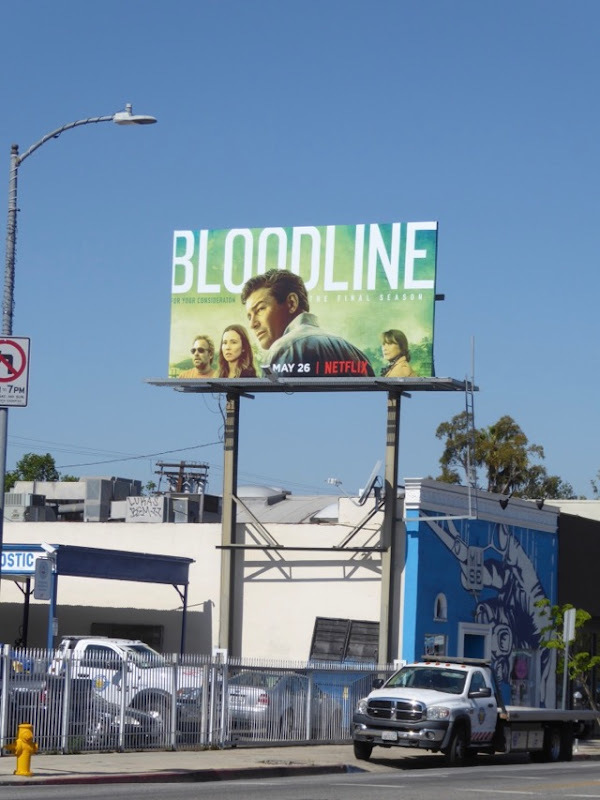 And here's another larger example spotted along West Hollywood's Sunset Strip on June 9, 2017.